The Kennedy wives saw history up close-made history in some cases. They knew wealth and privilege but we are bonded to them by loss which are our losses too. The Kennedy women-fierce, intelligent, and very private-belong to us. Not because of their glamour, but because of their grief and misfortunes. The Kennedy Wives takes an unflinching look at the women who married into the Kennedy family and their distinct roles: Rose, the matriarch; Ethel, the athlete; Jackie, the icon; Joan, the fragile beauty; and Vicki, the redeemer. In reality, each woman was complex and multifaceted. As Kennedy wives, they were bonded through characteristics and experiences unique to the Camelot family. 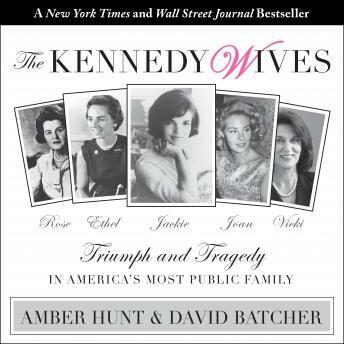 The Kennedy Wives is an exploration of these women that will offer what no other book or film created thus far has: a thoughtful analysis of what drew the Kennedy men to these iconic women, and what the women endured in exchange for their acceptance into the Camelot clan.